Majir.Zlitan. Libya. 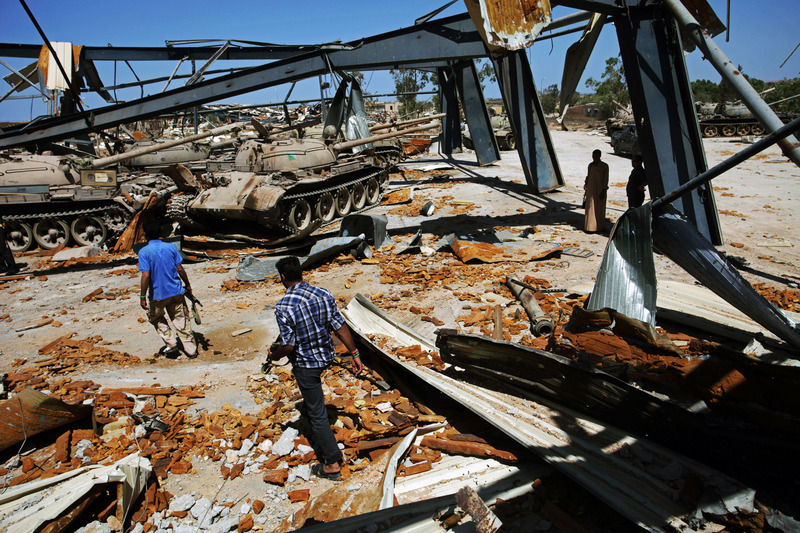 31st Aug 2011\nRebel fighters at the scene of the tank depot in Majir, Zlitan -where hundreds of tanks were stored by forces loyal to Col. Gaddafi. The rebels say that hundreds of the tanks survived repeated airstrikes by NATO aircraft and that more than 100 have now been removed by rebel forces gathering for the assult on Sirt.